Instacart has changed its tipping policy after workers argued that it ultimately lowered their take-home pay. “We heard loud and clear the frustration when your compensation didn’t match the effort you put forth,” Apoorva Mehta, Instacart’s chief executive, wrote in an open letter to Instacart’s contract workers, known as shoppers. 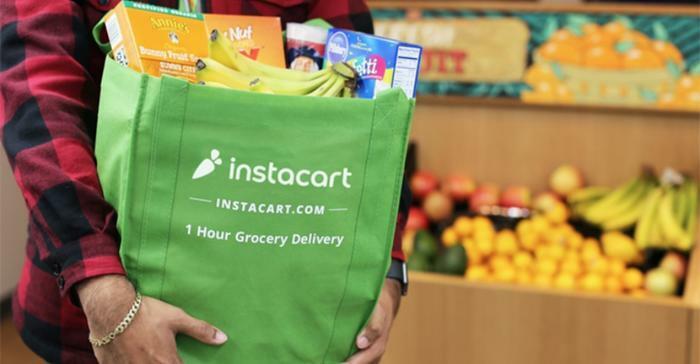 Instacart, an app that lets customers order groceries and other household items and have them delivered, unveiled the update to its compensation policy back in November. Under the policy, Instacart would sometimes reduce its contribution to a worker’s pay if the person received a certain amount in tips. In one case, an independent contractor was paid 80 cents by Instacart for a delivery job. "While our intention was to increase the guaranteed payment for small orders, we understand that the inclusion of tips as a part of this guarantee was misguided. We apologize for taking this approach," CEO Apoorva Mehta said in a blog post on Wednesday. After acknowledging the misstep, the platform announced that it will be doing away with the controversial tipping policy. Instacart says it will now always separate tips from compensation from the company. Additionally, the startup raised the guaranteed pay for some jobs (at least $5 for orders that require only delivering an item, and $7 to $10 for orders that involve picking items off supermarket shelves). The San Francisco-based startup also promised to also offer back pay to workers who were adversely affected by the previous tipping policy. Mehta said the revised tipping policy will increase Instacart’s overall contribution to worker earnings. “We believe that the change in tip structure will separate Instacart from an industry standard that’s no longer working for our shoppers and our customers,” he said.